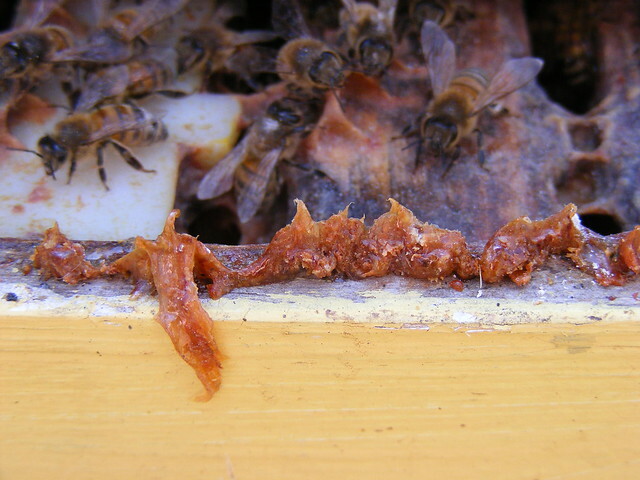 Walt Wright Suggests constructing the hive in such a way as to reduce the need for the bees to add propolis will allow them to spend that much more time collecting honey. He suggests trying to make the hive boxes as level as possible, as well as shaving the end of the frame that rest on the rebates down to a sharp angle so as to reduce the point of contact between the frames and the hive body. James has been interested in natural medicine since the 70's and started a company focusing on propolis in the 90's. Having comissioned scientific research on the substance and written a booking looking into all the research on the topic it's evident it's a topic he's passionate about.